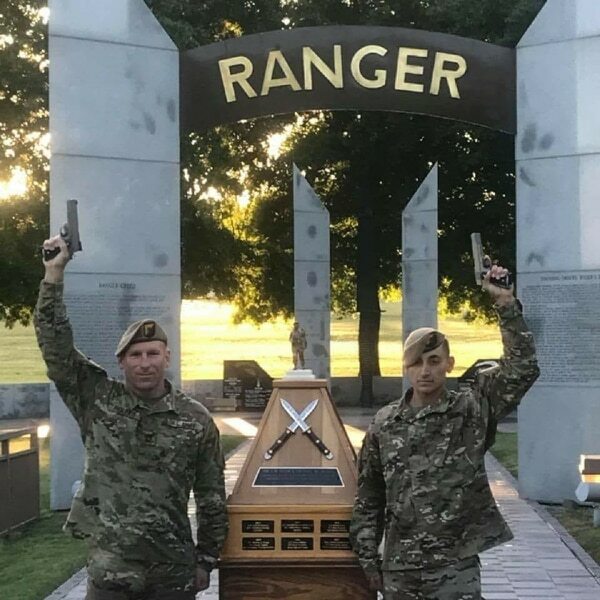 Two senior NCOs from the Airborne and Ranger Training Brigade took top honors at Fort Benning, Georgia, Sunday in the annual Best Ranger competition. Sgts. 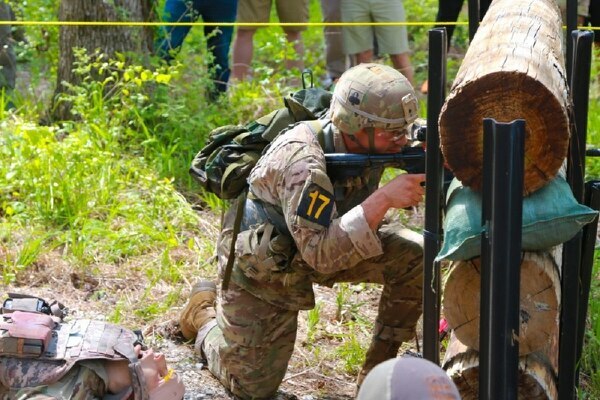 1st Class Joshua Rolfes and Anthony Allen bested 50 other two-man teams who competed over three days and a dozen events to prove themselves the best of the Army’s Ranger-qualified soldiers, according to a Fort Benning release. Rolfes and Allen, one of four ARTB teams, stayed ahead of the pack for most of the competition, never falling below eighth place and going into the final day’s events in first place. They were also repeat competitors, having come in fourth place last year. Capt. Matthew Thwaites and 1st Lt. Kendall Ward of the 75th Ranger Regiment claimed second place, and 1st Lt. Jeremy Dettmer and Cpl. Tyler Taormina, also from the Ranger Regiment, came in third. A duo from the 75th Ranger Regiment has claimed the coveted title of Best Ranger 2017. 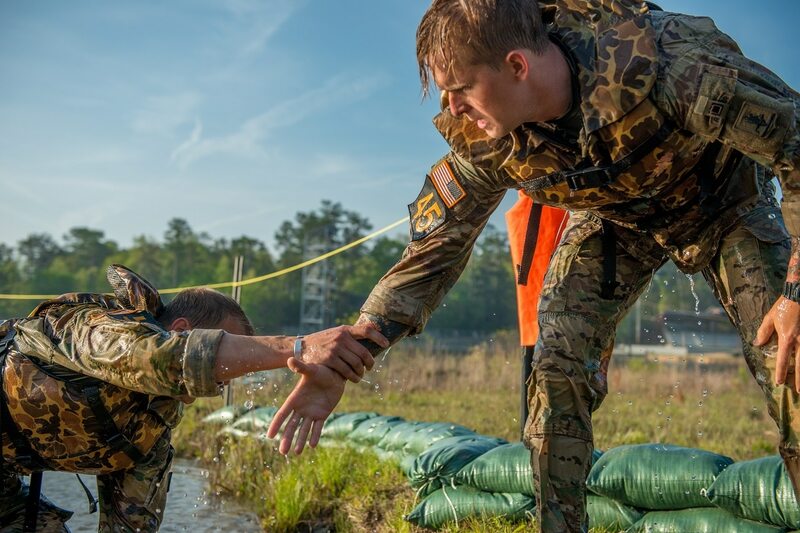 The competitors spent Saturday night on an orienteering course and then the Darby Queen obstacle course, finishing up the competition with a water survival assessment and a buddy run back to the starting point. Another team from the ARTB and a pair from the 25th Infantry Division rounded out the top five finishers, the release said. 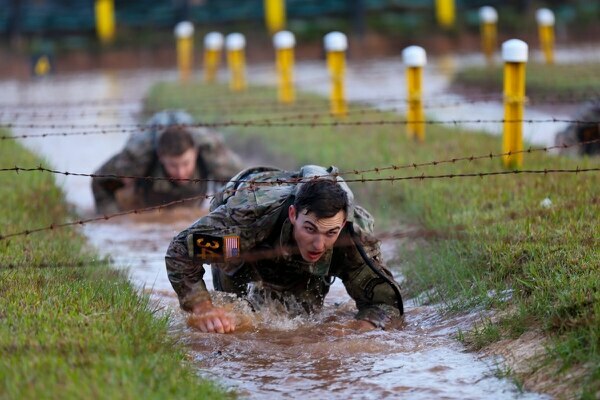 Some new challenges and new units are represented at this year's Best Ranger competition, including teams from Army Cyber and the Coast Guard.